SLEEVELESS LIGHT-UP HOODIES NOW ALSO AVAILABLE! The next step in the evolution of hoodies is here. 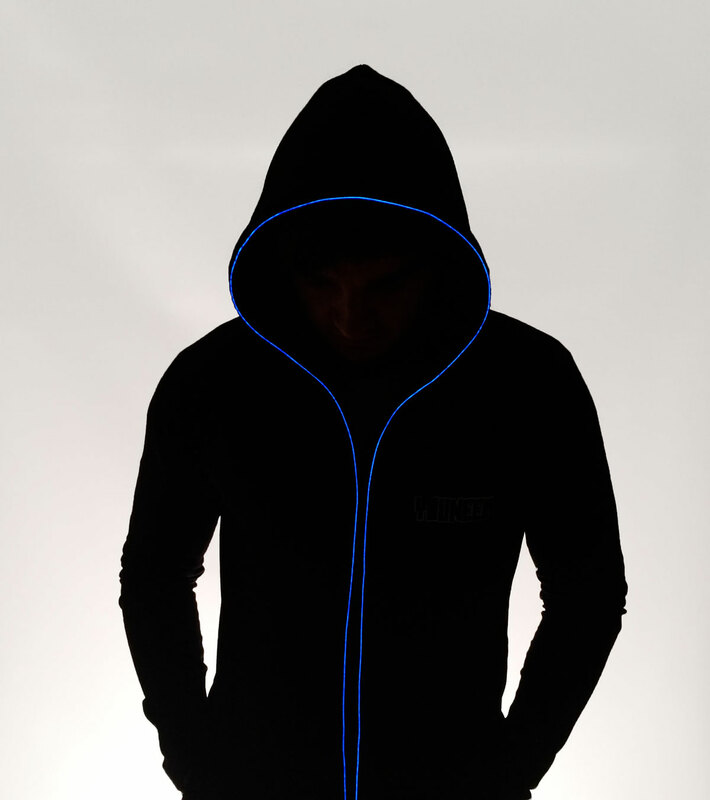 Light up the night with Youneek’s 2-in-1 light-up hoodie! Made to wear the way you want, when you want, wherever you want! A truly unique new clothing item that’s sure to steal every show you’re going to! Our light up hoodies are lit with electroluminescent wire that can be removed at any time, meaning you can wear it as a regular hoodie whenever you feel like it. Simply reinsert the wire again to wear as a light-up hoodie. Every light-up hoodie comes with 4 light modes: Off, Static, Slow Blink and Fast Blink. The light’s controller rests safely and comfortably in an inside velcro pocket, making it comfortable for you to move around any way you want. Material: Cotton Lycra. Cotton lycra is a high quality, stretchy version of cotton. This assures that our hoodies adapts/fits to your body’s build perfectly. Wire is water resistant, but not waterPROOF. Wire must therefore be removed before washing.